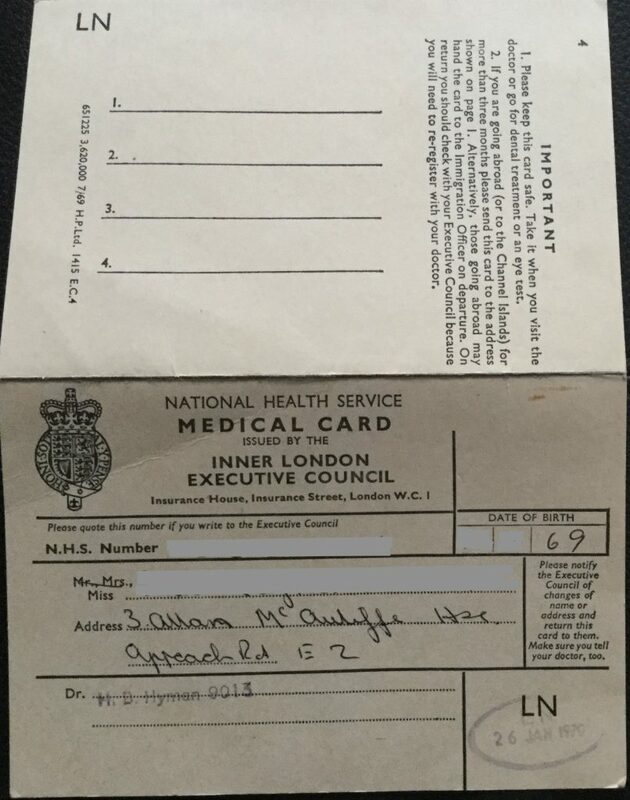 My partner's earliest medical card, issued in London in the very early 1970s. Looking at it again next to today's medical card, we were struck to see the instruction to BRING the card along to any medical appointment. Pretty interesting, given current debates about whether i.d. should be required when patients attend hospital appointments!